Creating a changes.txt is the only way to edit Football Manager Handheld 2013 on PSP and Android. Sports Interactive have provided us with four set codes to change four different areas of the game - players, managers, clubs and competitions (you can identify what they change by the beginning). "PLAYER" "First name" "Surname" "Club" "New first name" "New surname" "Common name" "Year of birth" "New CA" "New PA" "New club"
If you do not want to change any fields please leave it blank ("") however First name, surname and club must be filled in. First name/Surname: The players first name/surname or what you want to change it to. If a player has multiple names you may want to do a few codes to determine where the third word is meant to go. Club: The club is the one at the start of the game which the player belongs to, if they are on loan this does not count. If they are a free agent or want them to be simply type 'free' into the area. The club name must be the full name - one on the club page not the league. 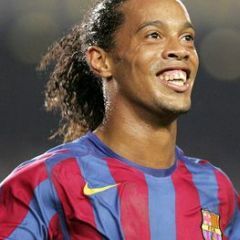 Common name: The common name is the players' short name (if any) this is used mainly in South America with the prime example Ronaldinho. Please note you can add a common name to a player but cannot delete one. Year of birth: The year you want the player to be born, it must be a minimum of 1995 so they are older than 15. Current ability/Potential ability: Out of 200, the current is the level they are playing at. Potential is what they can achieve (past or future). Standard level for a Premier League player is 155. Player changes must be before club changes, this means you must transfer Terry to Manchester United before changing Manchester United to English Superstars. You cannot create new players, you must edit old players with similar attributes, nationality and positions as your new desired player. The game only allows a certain number of new first names, surnames and nicknames. This is 100 of each so for example Terry will not count as John Terry uses it but Dumbledore would count as a new surname as no one is called John Dumbledore in the game. "MANAGER" "First name" "Surname" "Club" "New first name" "New surname" "Year of birth" "New CA" "New PA" "New club"
Manager changes are the same as player changes apart from the following. Year of birth: Must be greater than 1980. It must be before club changes. Managers must be released from their club before doing being put to an international team and vica versa or they will be managing both. "CLUB" "Full club name" "Nation" "New club name" New short name" "Reputation" "New league"
Club name and nation must be filled in, the rest can be left blank. Full club name: The club name which appears on their profile. Nation: The nation the club is in. Short name: What you want to appear on the table (good for clubs with long names). Reputation: Out of 10000, the higher the reputation the more expectation and money. Also allows you to buy better players. New league: What league you want to transfer them into (the clubs' current nation only). Must be done before competition changes. Leagues must be balanced (Premier League has to have 20 teams etc...), if you transfer one to a different league you MUST replace them or errors occur such as the league not having any games. To install you place the changes into PSP > COMMON > FMH2013 (you may have to create this). 4.Add the changes.txt to the folder (fmh2013_data). Oh my, I still cannot change a player with umlaut letters on my Android. sigh, only need to change the text encode & everything just fine right now. "PLAYER" "Radamel" "Falcao" "C. Atletico Madrid SAD" "Falcao" "Chelsea"
"PLAYER" "Radamel" "Falcao" "C. Atletico Madrid SAD" "" "" "" "" "" "Chelsea"
"PLAYER" "Radamel" "Falcao" "C. Atlético Madrid S.A.D." "" "" "Falcao" "" "" "" "Chelsea"
Still doesnt work, im not sure why? Are you sure it is in the right area? Yes did you disable quick start? I can't as I don't have FMH2013 on Android, sorry. What is it in game? Go into his player profile. It should at least say Radamel Falcao? It should say a full name too. Strange. On iOS it says Radamel Falcao. Then go on his profile information tab that says about wages etc.